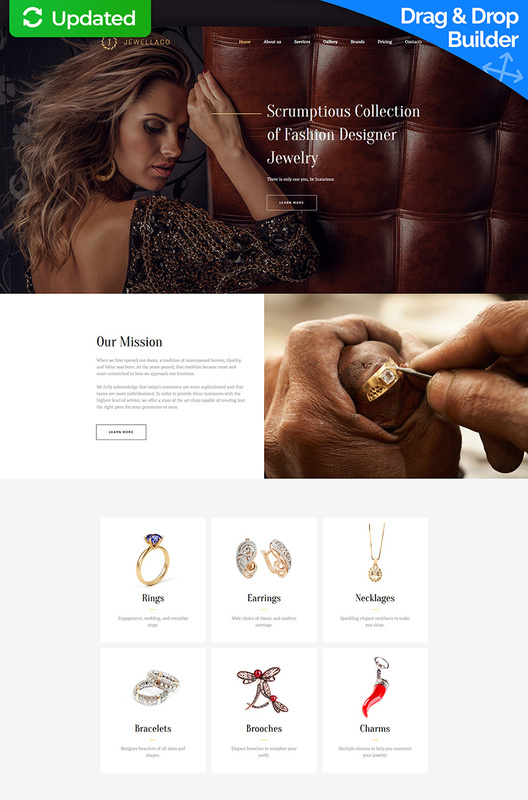 Jewellaco Premium Moto CMS 3 Template is a must-try ready-made design for creating an online jewelry shop. This template offers a wide range of customization options. All elements of the design are mobile-friendly. The drag & drop website builder offers an easy way of constructing your online shop with state-of-the-art building-blocks that will help you to choose just the right design for the site adjusted to your personal taste. With the pre-made pages, you will attain every page that you might require for assembling your website. Google Fonts offer a great variety of fonts that will help you to make the website more appealing to customers. Presets Builder presents you with a rich collection of ways to manage and change the look of the widgets on your website. this is one of the best template and product I&#039;ve ever bought.the pages are easy after watch a video tutorial becomes easy to work with.